This week we have Adam T. Gardener sitting in for our Host, Debara as Adam’t Shares more Story of how any and all of us can find our Way…Walking in the Medicines of Life. Words can be Medicine, fasting on spring water can be Medicine…even adding something as easy and simple as putting whole, organically grown, Greek Black Olives in with our evening Meals. It’s a Phenomenal Event that any of us can Experience through the Five Senses and our Intuition. It can Change our Perception of Human Life…what We Are…Why We’re Here…What We Should Be Doing…in Wonder-Filled Ways that can bring Joy never known before. See ya there!!! Adam’t Gardener is the Commentator and Narrator for this one hour Ride on what he calls…The Human Accelerator™. 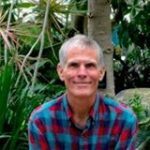 Author of two books, writer & producer of t.h.a.BE.movie, visionary of America’s Medicine Wheels and a Whole Food’s Whole Herb Medicine Man…he has been living on a 100% plant based diet for over 30 years. His Knowledge and Wisdom is a Bridge Connecting two islands of Human Reality.